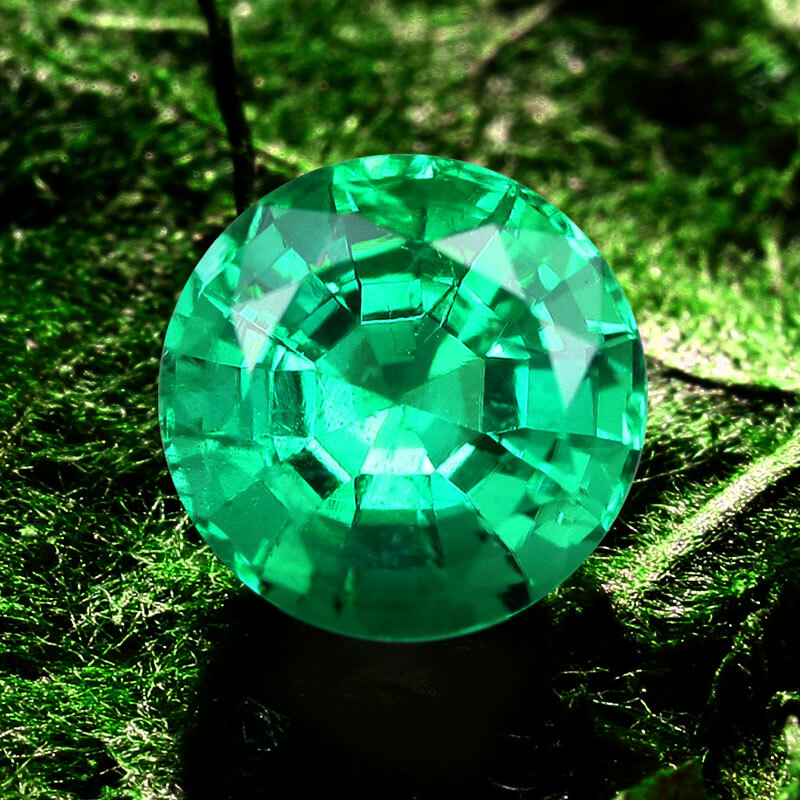 Emerald | Gemstones from A-Z at Rocks & Co.
Back Home Gemstone Information Emerald | Gemstones from A-Z at Rocks & Co.
As of the most well know members of the Beryl family and the birthstone of May, Emerald is known for its rare and beautiful greens. The name ‘Emerald’ is derived from the Greek word ‘smaragdos,’ meaning ‘green gem.’ As with Ruby and Sapphire, prior to scientific advances in the 18th century, the name was used for any green gemstone. Emeralds are linked to fertility, rejuvenation and eternal spring, and are therefore quite fitting as the birthstone for May. 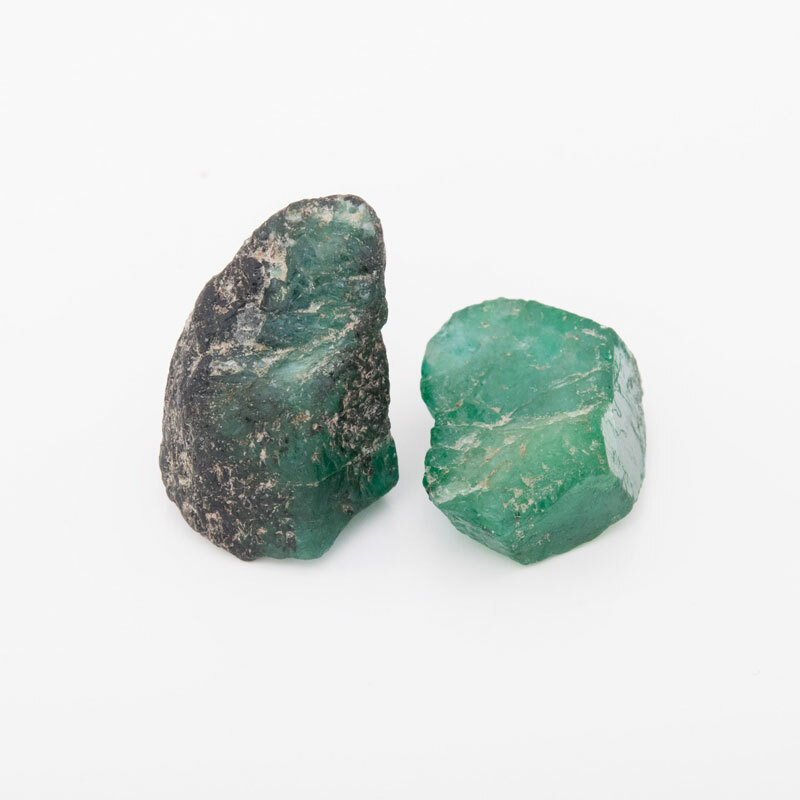 Perhaps mined as early as 3500 BC, Emerald mines located in Egypt’s eastern desert region were rediscovered in 1816 by Frédéric Cailliaud, a French mineralogist and explorer. Cleopatra, last Pharaoh of Egypt was famous for her Emeralds, she understood their symbolic importance of prestige, power and politics. Despite being discovered some 2,000 years before her birth, the Egyptian deposits are known as 'Cleopatra's Emerald Mines'. Emerald is a member of the Beryl mineral family along with Aquamarine, Bixbite, Goshenite, Heliodor and Morganite. All members of the Beryl family are aluminum beryllium silicates with a hardness of 7.5 – 8 on Mohs scale. The broad spectrum of Emerald greens, ranging from pastel to deep green with blue, brown and yellow tints, is created by trace amounts of chromium, vanadium and iron. The four criteria most important when choosing Emeralds are purity of colour, transparency, clarity and brilliance (brightness). 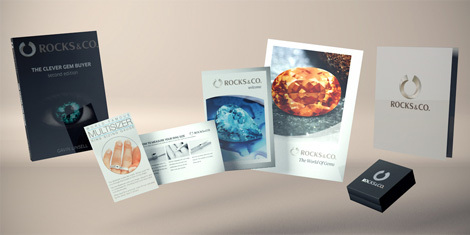 As with most gems, colour is the most important factor. A little bit of yellow (typically up to 15 percent) can enhance a pure green, balancing its colour in incandescent light, while a little bit of blue brings depth, richness and warmth. Transparency and clarity are best described as two different, albeit related, things in Emerald. In general, a transparent 'lively' Emerald with a few bigger visible inclusions will be valued higher. As a Type III gemstone, Emerald has visible inclusions that we tolerate. In Emeralds, inclusions are a characteristic trait. Emeralds grow slowly within metamorphic rocks (rocks that have undergone a physical change due to extreme heat or pressure), which limits their size. Influenced by colour, cut and clarity, the 'brightness' of an Emerald is often described as satiny, silky, warm, soft, glowing 'green fire'. As Egypt's Emeralds are long gone, since the 16th century, Colombian Emeralds are today are the most sought after for their exceptional quality. 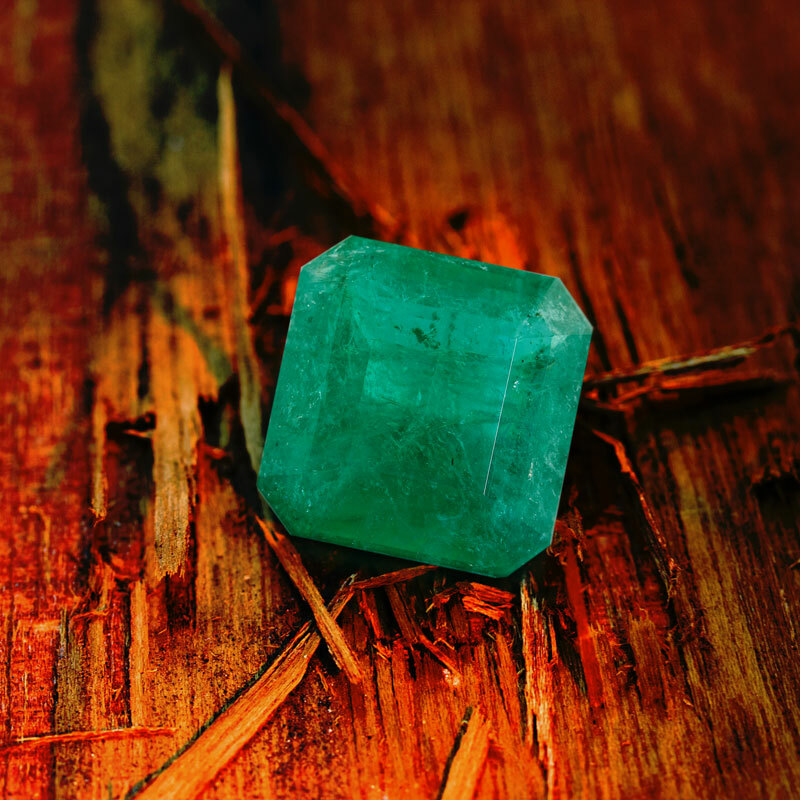 Columbia is responsible for supplying around 60 percent of the world's output and 80 percent of the highest quality Emeralds available on the market today. The Muzo mine, located 161 kilometers north of the country’s capital, Botoga, has been producing since before the conquistadors conquered the local owners in the mid 16th century. The world’s second largest Emerald deposit is located in Zambia. Other Emerald sources include Afghanistan, Brazil, Pakistan, Russia (Ural Mountains) and Zimbabwe.